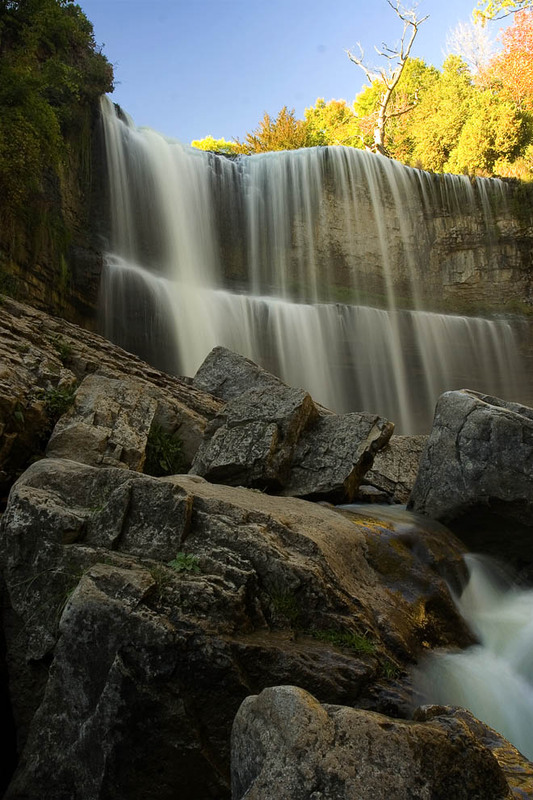 Webster’s Falls in Hamilton. This was shot late in the day which made the exposure a little tricky. I’ll have to take another go at this location. Canon EOS 350D, EF17-40mm at 17mm, 0.6s at f/16, 100 ISO, tripod. Copyright © 2002-2006 Jay Kerr. Contents of this site are under a Creative Commons Licence. Photos cannont be used without permission.